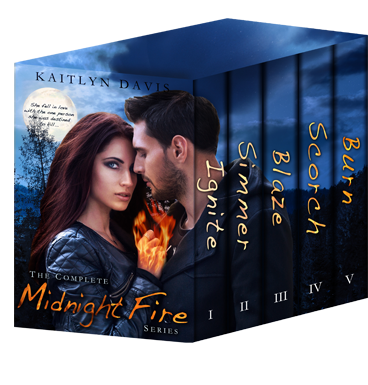 LIMITED TIME OFFER: Get the entire five book series for only 99cents! Kira Dawson has the power to burn vampires to a crisp. The problem is, she doesn’t know it yet. The even bigger problem is, she’s dating one. When Kira Dawson moves to South Carolina, she meets Luke, a blond goofball who quickly becomes her best friend, and Tristan, a mysterious bad boy who sends shivers down her spine. 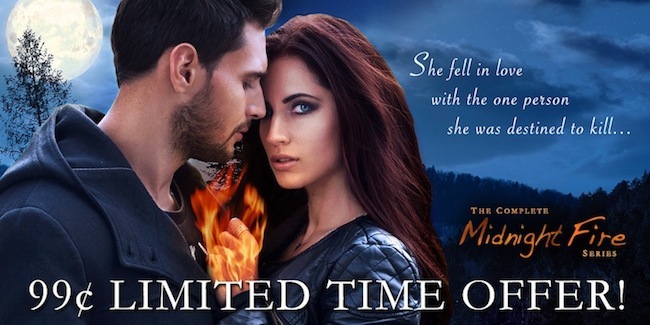 Kira knows they’re keeping secrets, but when she discovers Tristan’s lust for blood and her own dormant mystical powers, Kira is forced to fight for her life and make the heartbreaking decision between the familiar comfort of friendship and the fiery passion of love. Only 99¢ for a limited time! Tristan finished reading his lines. “Hey, Juliet, it’s your turn.” He smirked. “Oh, right.” She looked down at her book. “‘O Romeo, Romeo, wherefore art though Romeo. '” She tried to copy his apathetic style of reading and was secretly overjoyed when he laughed at her. “You told me that already.” She stopped reading. “I understand what you’re saying, but I also know you don’t mean it.” She leaned closer to him to prevent from being overheard. “I do,” he said, forcing the point. “I should,” he said and shot Kira a lethal look. His eyes changed color to the lightest blue she could imagine, and they held her captive. Not in the romantic way, but as though she were a prisoner held paralyzed. His eyes were ice cold, making her shiver as though she had been dropped in an arctic pool, and slowly his pupils began to expand, overtaking his irises. Kira was scared, but more than that, she felt like he knew it and didn’t care. Try as she might, she couldn’t look away—completely stuck. Slowly, a feeling of warmth spread to her hands, burning hot, a sense of power that fought the fear tightening her stomach in knots. Whipping her gaze to the floor, Kira breathed heavy as she finally broke his stare. Her fingertips still tingled with the heat that had coursed through her, allowing her to break his gaze. Kira leaned back against her chair, away from him, and touched her fingers to her cheek. They burned into her skin. “What the hell was that?” she asked unsteadily, still not looking up. The heat emanating from her hand absorbed all of Kira’s thoughts. “Me,” he said with the venom gone from his voice. She looked at him again and caught the unbearably sad expression in his eyes before he looked away. Or me? she thought, feeling the warmth finally ebb.